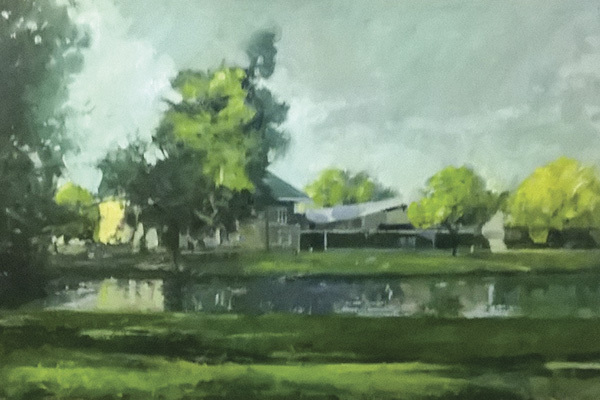 Artist Mike Strudwick will guide you through preparing and painting a landscape. Please bring a selection of colours, small box sets (available from most art shops). OR small tubes of: Cadmium Yellow, Cadmium Red, Burnt Sienna, Raw Umber, Ultramarine Blue, Cobalt blue, Veridian Green, Light Green, Yellow Ochre and Titanium White. Any other colours you wish to bring, that’s fine. If you can bring 3/4 brushes, small, medium and one slightly bigger no more than 3 quarters of an inch, that would be good.